If you want to measure how light can affect circadian rhythms, alertness, and mood, it’s best to use a spectrometer. To get results that you can see right away (and show to other other people), you need software that is designed for non-visual responses. With f.luxometer™, you can measure light spectra with a portable meter and see circadian quantities like melanopic lux and M/P ratio instantly. Save the raw data and analyze it however you like. Or, when you want to, share your results online, in just one click. Using the f.luxometer™ software with x-rite’s hardware, there’s now a low-cost way to look at the spectrum a light makes. 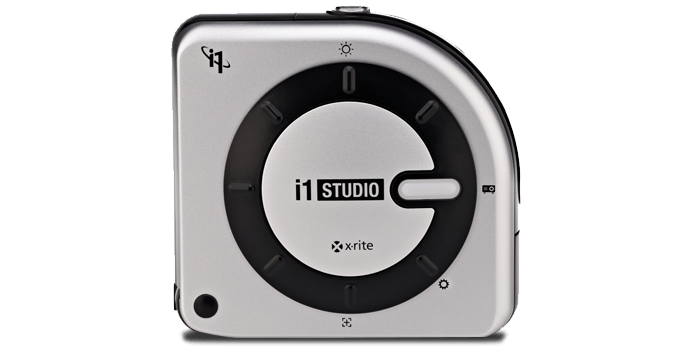 The meter we recommend is the i1Studio spectrometer from x-rite. This meter connects to your laptop via USB, and on its own, it’s great at calibrating your screen and measuring the reflectance of surfaces. It’s also a bargain for doing these kinds of measurements: a reference meter can cost $10,000, but this one gets awfully close for a lot less money. If that's not available, you can get the older model here. International customers: please look for EOSTUDIO or CMUNPH resellers in your local market. The f.luxometer system allows you to measure light and output the raw spectral data. It automatically computes circadian metrics as you measure (like Melanopic lux and M/P ratio). If you want to, you can easily share measurements via our cloud service. This version is priced at $99 a year, which includes updates and as much cloud storage as you need. It's intended for one person to use on a couple machines, or for one meter on a shared machine. f.luxometer works well with Windows tablets like the Microsoft Surface. Inexpensive Windows 10 tablets (<$200) are available and are excellent for mobile use or remote monitoring of a building.